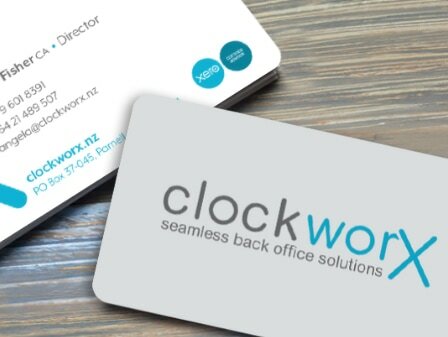 clockworX - A new company requiring a fresh new brand. ​It needed to be clean and clear with a friendly but professional look. PRD created a logo and came up with a byline for their chosen name. 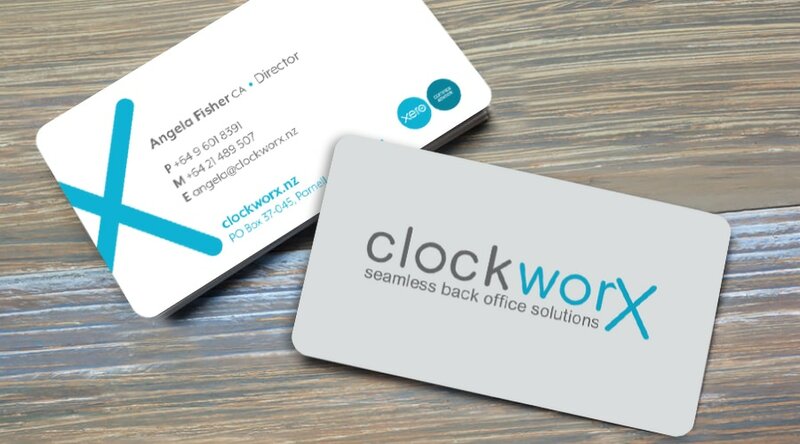 The business cards are a smooth mat finish with "friendly" rounded corners. 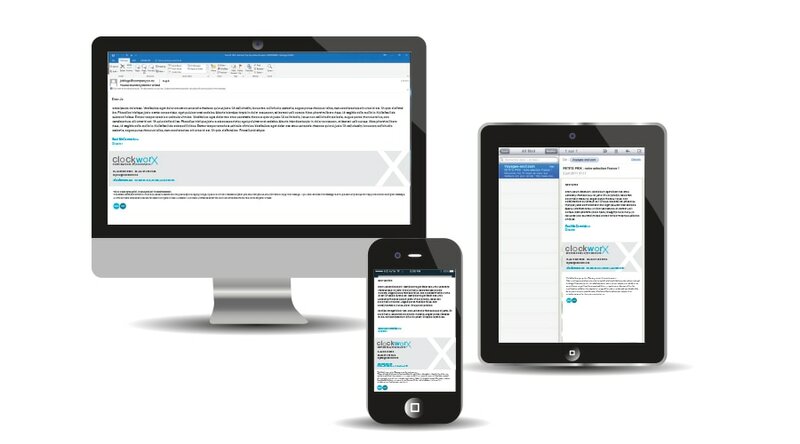 We also looked at email signature design to be incorporated into Microsoft Outlook. This is an ongoing client with more to come as they expand and grow.